The Kenworthy theater occupies a dominant position in the turn-of-the-century cityscape of downtown Moscow. Although the opening of the Kenworthy as a public theater by Milburn Kenworthy took place on January 4, 1926, some of the building was in use as the Crystal Theater as early as 1908. A Robert Morgan theater pipe organ was purchased in 1927 to accompany silent films and is now housed at the University of Idaho Auditorium. The original brick structure was enlarged by twenty-four feet to the south in 1928. At that time, the stage was used for vaudeville and other dramatic productions, and for silent films. Talking pictures started in 1929. The theater was remodeled in 1949 with a new terracotta tile façade and enlarged marquee. It was run as Moscow’s premier movie theater by the Kenworthy family until the late 1980s when it was leased until its gift to the Kenworthy Performing Arts Centre, Inc. in 2000. The theater was placed on the National Register of Historic Places in 2002. As an outgrowth of its traditional role, the Kenworthy now actively supports artistic presentation of both local and nationally known artistic performers. In addition to an ongoing film schedule and periodic use for plays by local theatre companies, the venue can be rented for a variety of public engagements including private film screening, fashion shows, public lectures, workshops, concerts and fund raising events. 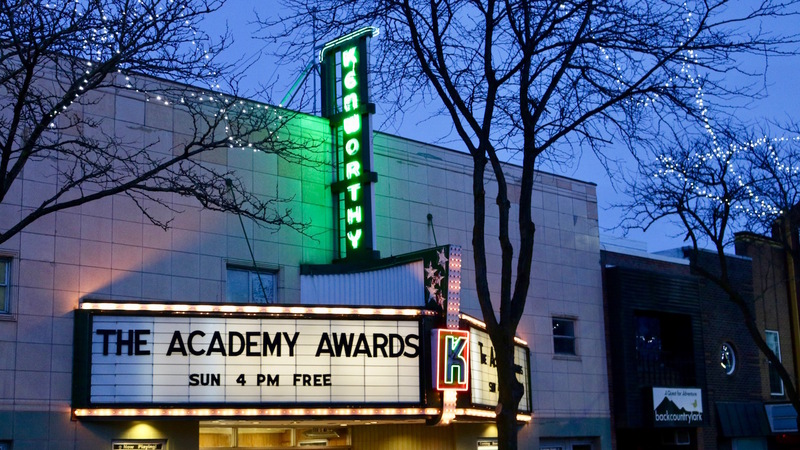 For performing arts organizers, the Kenworthy provides a 330-seat auditorium, 1,000 square foot stage, performance sound and lighting equipment, food and drink sales area, lobby, box office, marquee advertising on Main Street, and Internet promotion. The mission of the the Kenworthy Performing Arts Centre is to be Moscow’s premier historic, downtown, community performing arts venue and cinematic art house dedicated to hosting and providing high quality arts experiences to residents of and visitors to the Palouse Region. 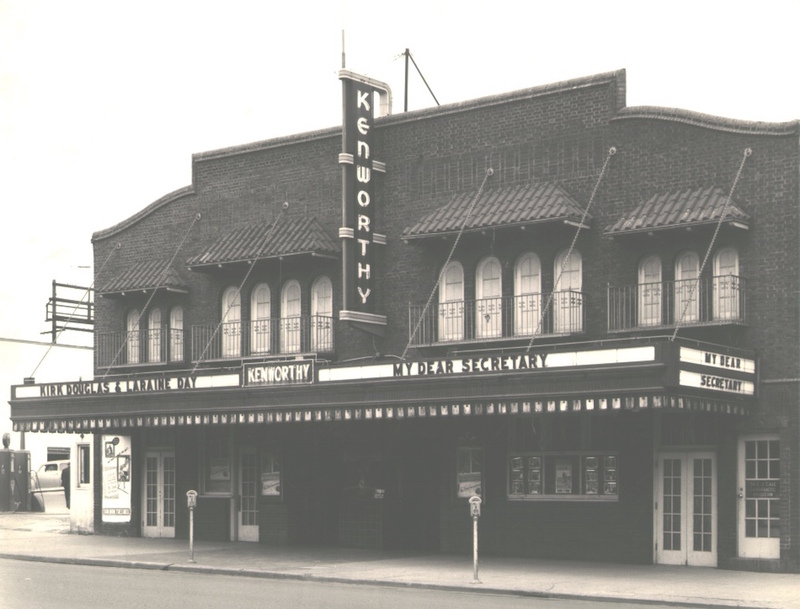 Our goals and strategies are to restore and preserve the Kenworthy Theater as an historic building, maintaining it as a living theater while retaining its historic beauty and financial value; To encourage film and other performing arts that would not otherwise be available in the area; To provide and promote quality events for all patrons; To prohibit discrimination, in the entertainment and in the audience, on the basis of race, religion, color, national origin, gender, sexual orientation, disability, or age. The Kenworthy Performing Arts Centre is a not-for-profit, 501(c)3 organization managed by a full-time executive director with oversight from an all volunteer, community based board of directors. To restore and preserve the Kenworthy Theater as an historic building, maintaining it as a living theater while retaining its historic beauty and financial value. To encourage film and other performing arts that would not otherwise be available in the area. To provide opportunities for quality family entertainment.